Real estate transactions often have significant financial implications for all parties involved. That’s why at Murphy Desmond S.C., our commercial and residential real estate attorneys work closely with our clients on all property law matters. We help our clients understand the legal issues they face and work to minimize potential risks. 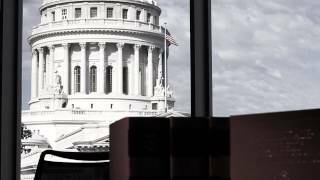 Our Wisconsin real estate attorneys also provide many other legal services regarding real property. We have the experience and resources to handle even the most complicated legal matters for our clients. At Murphy Desmond S.C., our attorneys advise and represent clients in all types of commercial real estate and residential development projects, including major office buildings, retail projects, industrial properties and single family and multi-family housing developments. The breadth of our experience enables us to understand the essential elements of a project and the potential risks or obstacles that stand in the way of completion. Our Madison and Janesville lawyers can assist in the commercial real estate development process throughout all stages — from conception, to planning, securing municipal approvals, to financing and other project issues. Our goal is to facilitate profitable real estate transactions and projects for our commercial real estate clients. Throughout the entire development process, our dedicated attorneys will seek to identify and avoid potential legal risks and clear the way for successful completion of the project. Murphy Desmond lawyers are dedicated to helping our clients solve their legal problems so that they may get the most out of their properties. Contact our Madison or Janesville real estate lawyers online or call 608.257.7181 to schedule a consultation to discuss your needs. We serve clients in the Madison area, Dane County, Rock County and throughout Wisconsin.